In February, 2001, Dr. Mark Crabtree and Dr. John Ferguson fulfilled a vision of unifying neurosurgery in Springfield, MO by forming Springfield Neurological and Spine Institute, LLC (SNSI). Prior to the establishment of SNSI, two neurosurgery practices and at least three independent neurosurgeons had served the community. By combining their independent practices, both Drs. Crabtree and Ferguson felt the community’s neurosurgical needs would be better served. Bringing together the experience, expertise, and training of both independent groups allowed SNSI to recruit sub-specialists, further positioning themselves as the area’s leading provider in neurosurgical care. To provide the most comprehensive care available, SNSI offers physical medicine and rehabilitation physicians, an interventional neuroradiologist, and sub-specialists in skull-base surgery and endovascular neurosurgery. 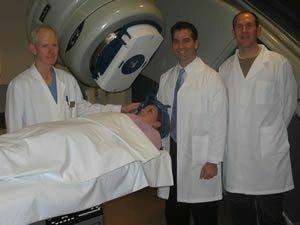 To improve the service provided to the patients of SNSI, a state of the art diagnostic imaging center was opened in May 2003. SNI Imaging, now JNC Imaging, provides MRI, CT, Fluoroscopy procedures, and standard X-ray procedures. In November 2003, SNSI began a primary hospital affiliation with CoxHealth. As a member of CoxHealth neuro services, SNSI works closely with many referring physicians, provides trauma services, and performs surgeries at CoxHealth. In June of 2016, SNSI and CoxHealth integrated in neuroscience care. The new Jared Neuroscience Center combines neurology, neurosurgery, neuropsychology, and physiatry – plus specialty clinics for diseases such as Parkinson’s and ALS – together in a facility that is uniquely designed for collaborative care.